Av. Pio XII, 4, 46009 Valencia, Spanje. 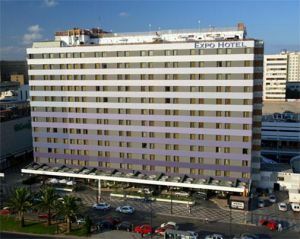 Hotel expo valencia is located at 15 minutes walking from the old town and at 5 minutes by public transport (metro stop and bus stop in front of the hotel). 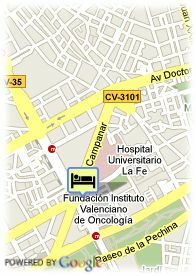 It is situated nearby the nuevo centro shopping centre, one of the most crowded city areas. It is perfectly connected to the city of arts and sciences and to the bioparc. At just few minutes from the exhibition centre and the congress palace and with easy access to the airport and the roads network. Thinking on you, we are happy to welcome you. We are famous for our kindness and professionalism and we put at your disposal the quality of our facilities, conceived and equipped in order to offer the maximum comfort and functionality for business trips, and holidays, as well. Centrum, dichtbij/in de historische binnenstad, dichbij Vliegveld. Volledig gerenoveerd in 2009, biedt Hotel Husa Dimar een exclusief ontwerp, gratis WIFI in alle de inrichting.